Two Sadler’s Wells staff members picked up awards at a ceremony celebrating the role of local young people and employers in delivering the legacy of the 2012 Olympic and Paralympic Games. 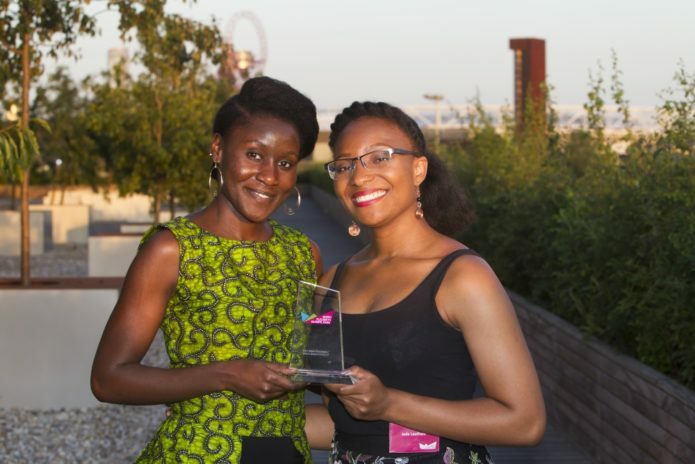 HR Manager Lesley Owusu and our former Community and Engagement intern Jade Leatham were honoured at the Queen Elizabeth Olympic Park Apprenticeship Awards, held at Here East on 5 July. Lesley won the Making it Happen Partnership of the Year Award for her work in offering high-quality, accessible employment and education opportunities to young people from the communities that surround the park in east London. 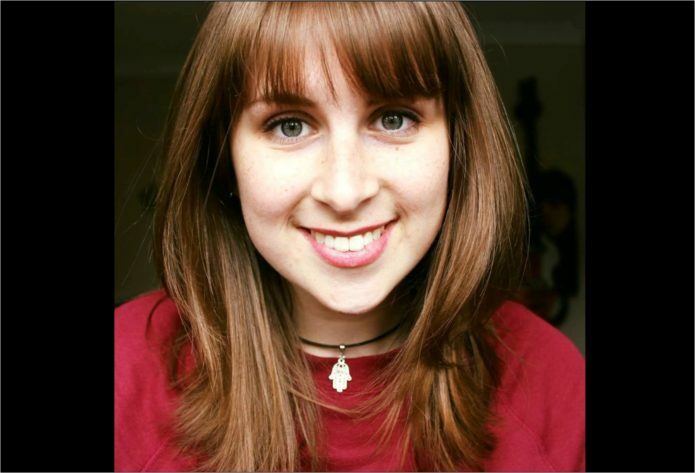 Jade received the Best Intern Award for her work as Community Engagement Intern at Sadler’s Wells. 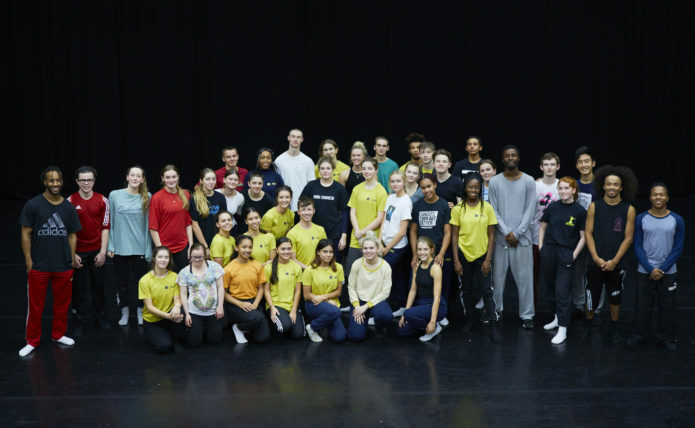 Jade was selected for the internship after taking part in the Creative Opportunity Programme and spent six months at Sadler’s Wells helping to engage local schools and communities in dance. 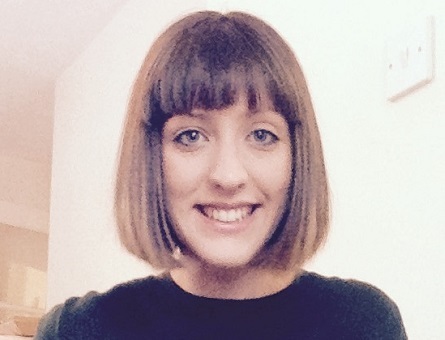 You can read more about her experience with us here. She is now permanently employed as International Examinations Administrator at the Imperial Society of Teachers of Dancing. Image: Sadler’s Wells’ HR Manager Lesley Owusu (L) and former Community Engagement Intern Jade Leatham (R). 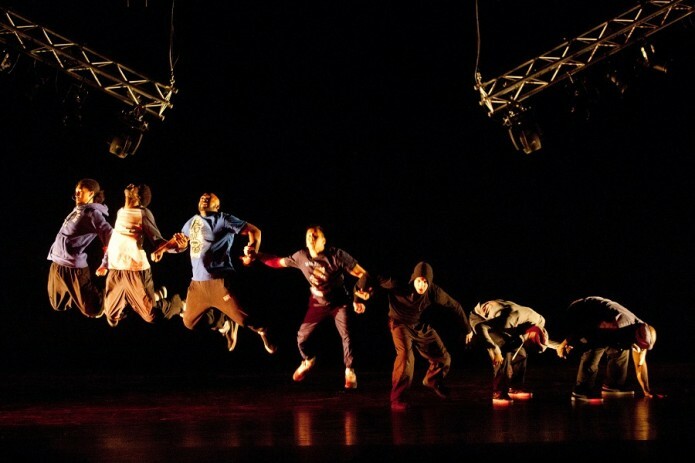 On 2 April, hundreds of arts and cultural organisations in the UK marked Get Creative Day. 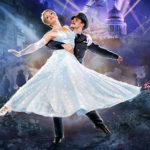 Part of the BBC’s Get Creative campaign, the event celebrated and encouraged participation in arts, culture and creativity across the country. 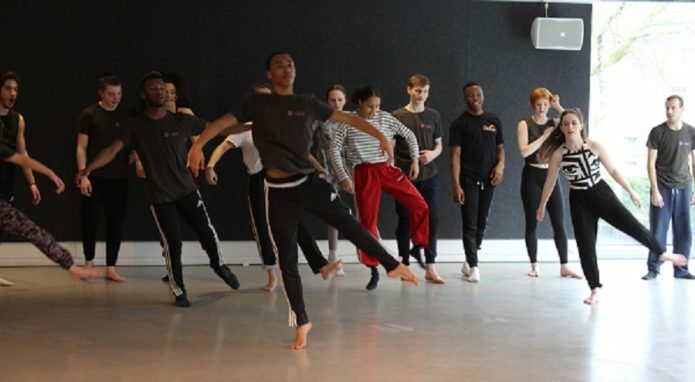 At Sadler’s Wells, National Youth Dance Company members invited people to join them in the foyer for a group improvisation. Audiences, many of them children and young people, danced along or simply travelled with the dancers as they performed throughout the building. 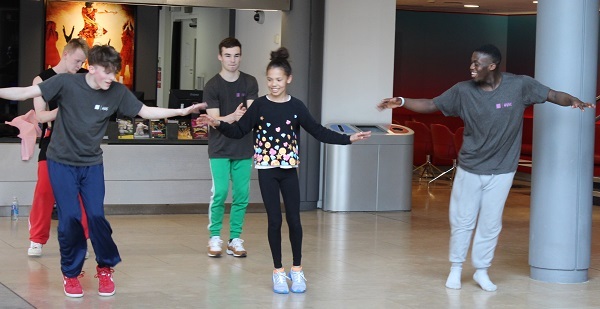 A measure of the success of the day was the transition of some visitors from shy spectators to enthusiastic participants – from entering the building, in the space of less than half an hour they were jumping, crawling, clapping and moving with the 40 NYDC dancers. 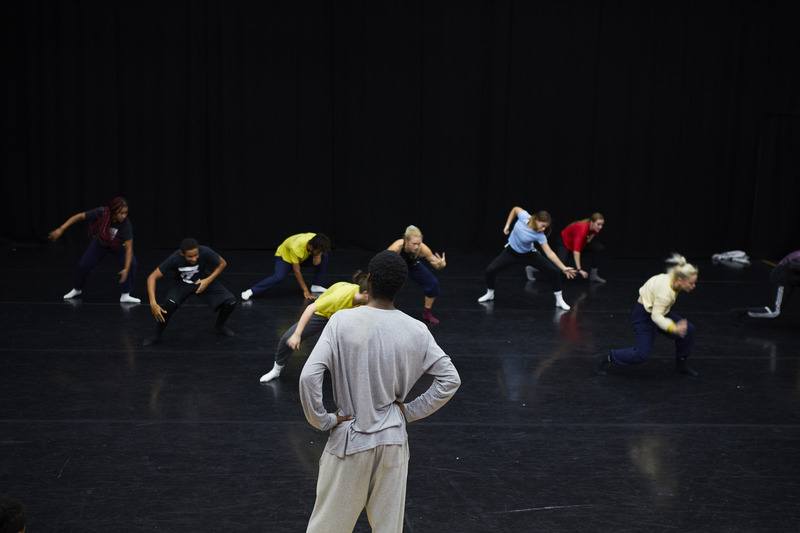 The company also offered the public the opportunity to learn a sequence inspired by its new work In – Nocentes, created by leading choreographer Michael Keegan-Dolan, which had its world premiere at Sadler’s Wells on 7 April. NYDC is jointly funded by Arts Council England and the Department for Education from the National Lottery and Grant in Aids funds. 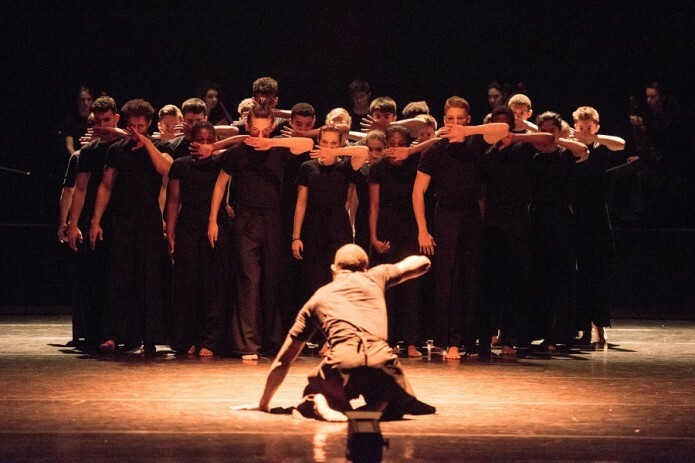 Images: National Youth Dance Company dancers lead the group improvisation at Sadler’s Wells.